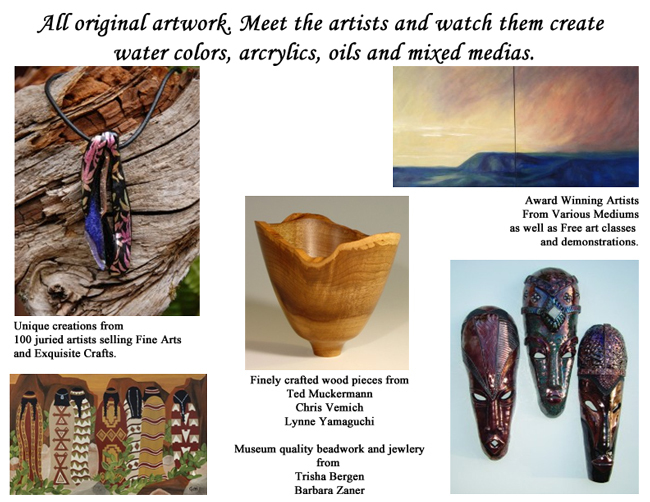 This year, for the first time, I will be participating in the St. Philip’s Outdoor Art Fair. 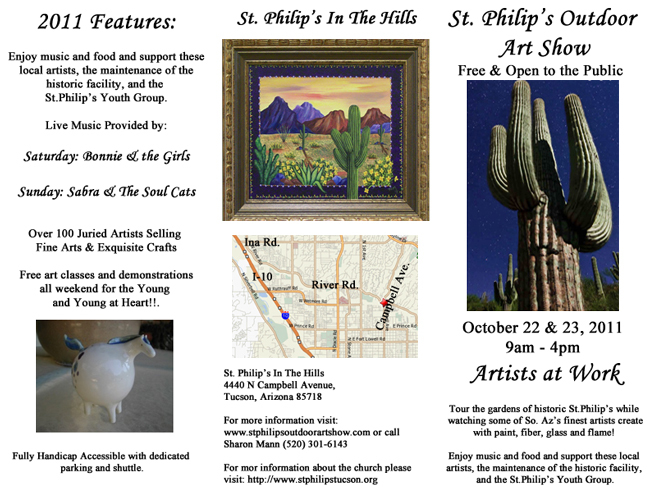 The fair will be at St. Philip’s in the Hills Episcopal Church this weekend, Saturday and Sunday, October 22 and 23, from 9 a.m. to 4 p.m. each day. I will be in Booth 23, near the music stage (click here for a map of the grounds). There will be live music, art demonstrations, and work by more than 100 artists at the fair—including also fellow Flux Gallery artist C. J. Shane. St. Philip’s in the Hills Episcopal Church is located at the northeast corner of Campbell and River. Come enjoy the festivities and get a headstart on your holiday shopping!